Hey, pals! 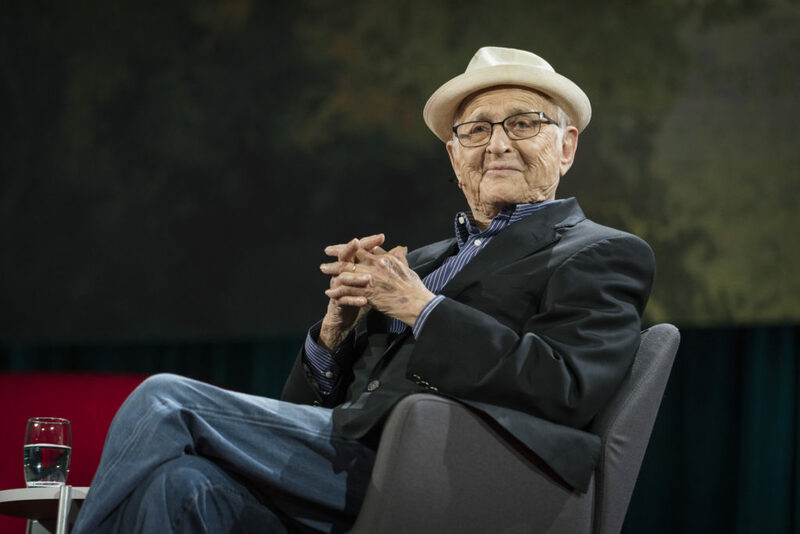 There are few people in Hollywood who could top Norman Lear’s legendary career. The 95-year-old producer has been making television audiences laugh and think since the 1950s when he worked as a writer on Dean Martin and Jerry Lewis’s comedy show. In the 1970s, Lear created a whole new type of T.V. sitcom with shows like “All In The Family,” “Sanford and Son,” “One Day At A Time,” “Maude” and “The Jeffersons.” These shows explored issues of race, gender, family and class (among other hot button topics) at a time when those were largely verboten in scripted television. Over the years, Lear took a few career detours — namely, founding the advocacy organization People For The American Way and dropping $8 million on one of the original copies of the Declaration of Independence (so he could tour it around the U.S. and show people the document who had never seen it before). But Lear never left television. In fact, he’s still creating. In 2017, a revamped “One Day At A Time” debuted on Netflix starring the inimitable Rita Moreno (fun fact: she’s one of only 12 people to win the coveted EGOT — winning Emmy, Grammy, Oscar and Tony awards). And Lear’s about to pilot another show called “Guess Who Died” starring Holland Taylor. Oh, and because that’s not enough for a man almost a century old, he also has a podcast. It’s called All Of The Above with Norman Lear. Check out our interview with him where we talk about reincarnation, the human condition and why he doesn’t watch T.V. Listen to the rest of the show! This is just one segment from the whole show! Click here to explore the entire episode, including interviews with Clare Roth and Anne Jaconette, hosts of For A Bad Time Call, and Thom Tran host of Battle Scars. Do you have a podcast recommendation you’d like to share with us? We want to hear it! Give us a jingle on the Pod Line at 202-885-POD1 and leave a message. Then we’ll put you on the radio and you’ll be famous. Thanks for listening, pals! ‘Til next time…keep listening, America. Monday, Oct 08 2018The Big Listen ended production in May 2018. While this site is no longer updated, all the content remains available for archive purposes.